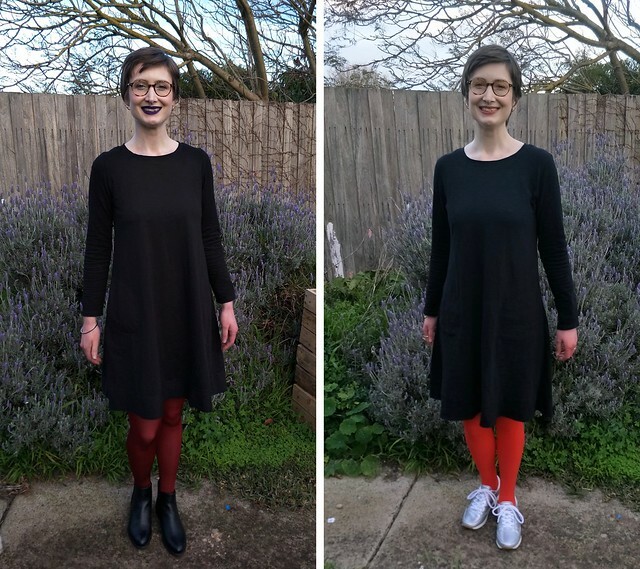 This winter I was on the search for a comfortable jersey dress, one with long sleeves and reasonably thick fabric which wasn’t a mini. You’d think that would be an easy ask, but apparently not. After scouring the shops, both local and online, I resorted to making my own. 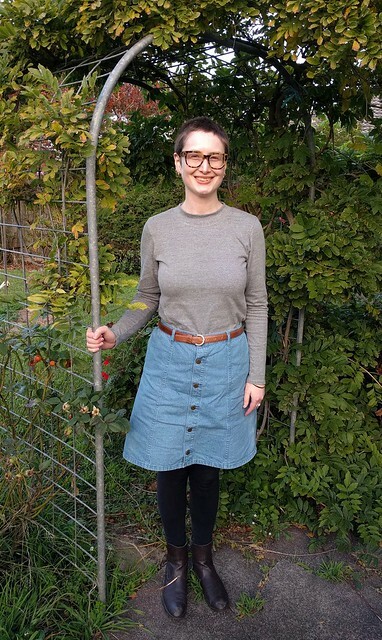 I ended up making two dresses using two similar patterns, so if you’re the kind of sewing nerd who likes detailed pattern comparison (or a PATTERN SHOWDOWN), read on! Left: Tessuti Frankie Dress, right: modified Ottobre #18. Ladder Stripes – viscose knit dress from Autumn/Winter 5/2017. Does anyone have trouble keeping up with sewing challenges? Or sharing them, rather. 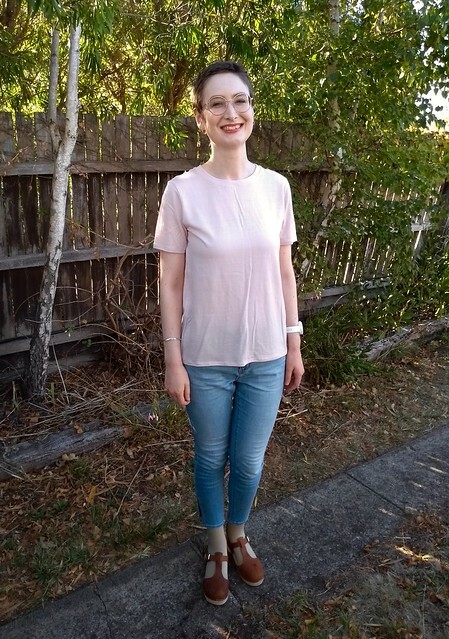 I made these pants way back in November 2017 for The Monthly Stitch’s pants month, but haven’t been able to photograph them until now. The pattern is pencil shape printed pants, #11 in Ottobre Woman Autumn/Winter 5/2015. 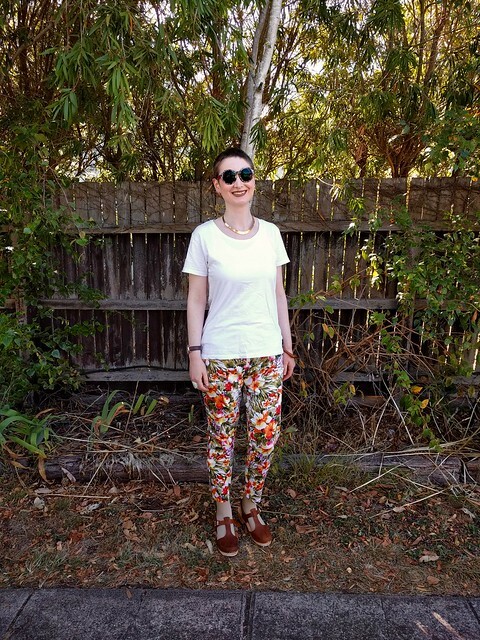 If I can’t wear them out and about, at least I can wear my Lottas for blog photos. That way, when I inevitably monetise my blog, I can claim them on tax. 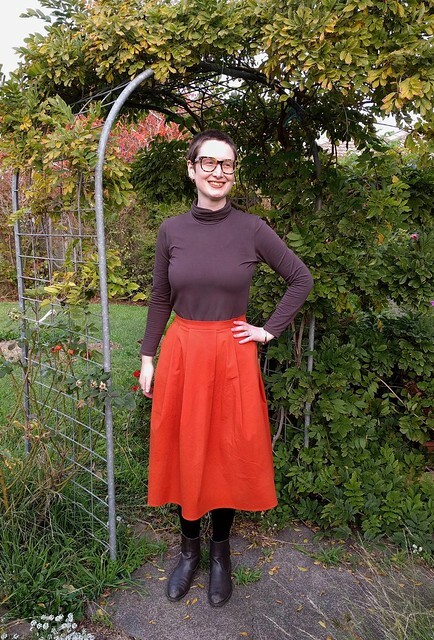 I’ve been inspired by the fabulous turtlenecks doing the rounds and decided to make one of my own. 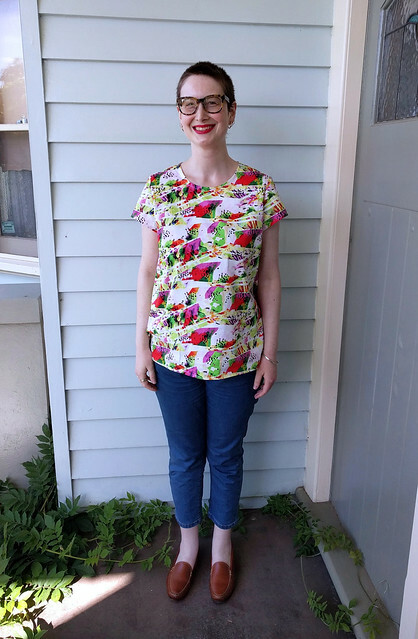 My Ottobre magazine stash provided the pattern (Ottobre 5/2016 #5 – vintage lines ribbed sweater) and the fabric was an old purchase from Joelle’s Fabric Warehouse on eBay.